The Pokey LaFarge carnival rolled into town last Saturday for a triumphant show at the Classic Grand. I say carnival because there’s an element of old time showmanship surrounding Pokey and his band. Apart from the thrift shop (although dapper) threads Pokey always comes across like a cross between a showground barker and a vaudevillian M.C. While he might not always enjoy the “old time” tag that follows him around there’s no doubt that he invokes a happier, more innocent time that comes across in the shows and records. Having said that Pokey and the band don’t display any stuffiness or reverence when it comes to playing songs written half a century ago instead injecting a large dose of vim and vigour into them. His own songs, influenced by the likes of Jimmy Rogers do hark back to the past but are delivered with a youthful joy, looking backward and forward at the same time the effect is dizzying. A packed Classic Grand crowd was treated to a hectic, fast paced show, crammed into around 80 minutes due to an early curfew. In addition LaFarge himself was due to celebrate a birthday at midnight and was keen to start the celebrations early. The crowd, most of whom were well familiar with the band from previous performances joined in with several shouts of Happy Birthday and a rendition of the eponymous song at one point. While the band played several songs from the new album (Middle of Everywhere) crowd pleasers from his last two albums were delivered with gusto. Claude Jones, Hard Times Come and Go and Walk Your Way Out Of this Town all featured. A fantastic version of the 1920’s vintage Sadie Green The Vamp of New Orleans was a particular favourite while the crowd surged when Drinkin’ Whiskey Tonight from the new album was played. Throughout the show the South City Three demonstrated some superior picking, plucking, slapping and blowing. Bassist Joey Glynn had numerous short solo spots while guitarist Adam Hoskins either alone or sparring with Pokey played some sweet jazzy Django runs. Ryan Churchmouse Koenig’s harmonica and vocal asides were a joy to hear while his donning of his washboard, bells and horns and all added a Spike Jones surrealism to the show. Hats off however to their rendition of Pack It Up, a song they recorded for vinyl release with Jack White of the White Stripes. With the lyrics adapted almost as a tour diary this was a tour de force with audience participation included. All in all a great night, Pokey and the band are on fire right now so if they set up a tent by your way be sure to join the queue. Des Horsfall’s Kuschty Rye. The Good Gentleman’s Tonic. When the late Ronnie Lane left The Faces in 1973 he surprised everyone with his next move. Forming a band, Slim Chance he took to the road in a caravan and set up shows in a tent. A world away from the rock’n’roll route his former band mates Rod Stewart and Ronnie Wood pursued, Lane’s vision of a bucolic English entertainment briefly captured the limelight before he tragically succumbed to MS. Enter Des Horsfall. Thirty years on he’s trying to capture the spirit of Lane’s endeavour on a trilogy of albums that he hopes will reflect the original Slim Chance releases. 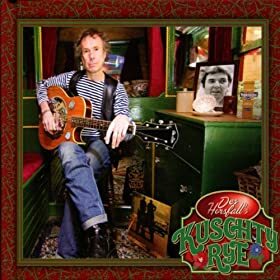 Naming his band after a Lane song, Kuschty Rye, which befitting Lane’s attempt to emulate a gypsy lifestyle was a Romany term that loosely translated means a “good gentleman, someone in touch with the Romany ways, Horsfall gives us an album of jaunty acoustic singalongs which do have a louche swagger about them. Rather than offer a straightforward album of cover versions the Lane connection consists of covers of Careless Love and The Poacher with eight self penned songs that share the loose, slung together attitude of Slim Chance. With assistance from members of Slim Chance including Benny Gallagher, Charlie Hart and Steve Simpson Kuschty Rye deliver a rootsy, acoustic based run through of blues, folk and Cajun influenced songs that approach the likes of Ron Kavana. The most successful of these is No-one Talks. Although it’s a nice conceit to offer a tribute to Ronnie Lane Horsfall goes one further in two respects here. The presentation of the album approaches deluxe proportions. Horsfall poses with a portrait of Lane and a copy of Anymore for Anymore on the cover of a handsome hard backed case and booklet packed with information, a tale on how Ronnie influenced Des and bizarrely a golden key and a sample of Yorkshire tea, the eponymous good gentleman’s tonic (all is revealed in the booklet). More importantly Horsfall tells the tale from the booklet on the last piece on the album. Called the Unwinese Mix he reaches back into the past when Lane was a Small Face and Stanley Unwin, professor of gobbledegook (or Unwinese), a nonsense language, narrated The Tale of Happiness Stan on the album Ogden’s Nut Gone Flake. With the assistance of Unwin’s son, John narrating he reprises his album ending with The Poacher. With this he shows that Lane, despite the rock trappings always had a foot in English highways and byways. God knows what he has planned for the follow up albums. Catching up with some discs. Ellis is an Australian who’s released several albums of his particular take on rootsy rock. The first thing one notices here is his voice. A huge, deep throated booming voice, it dominates the proceedings. However Ellis is no slouch in the writing stakes either and several of these songs are top rate while the remainder are all finely crafted tales of traditional subjects. At times the influence of Kris Kristofferson is heard while PC Love comes across like a frisky J.J. Cale. While there are a couple of ballads these are less successful, partly due to the unsuitability of his voice to express tenderness. What it is suited for is the wide open soundscape of Jesus Lane, a banjo driven epic that sounds as if its from a Western soundtrack written by Lee Hazlewood. A big chunky guitar sound scrubs throughout while Ellis soars high. Banjo features again on the jaunty Waiting For Armaguard, told by a down on his luck guy contemplating robbing a security truck and on The Gravy Train, a rollicking romp with some tasty guitar licks. Street Angel House Devil snakes along with some fine lap steel guitar from Jim Hackett as Ellis recalls a nasty neighbour from his childhood. Finally The Gift is a great country romp based on a drugs bust in Devon, a great topic and delivered in a fine humorous fashion. Giles Robson and The Dirty Aces. Crooked heart of Mine. Blabber’N’Smoke doesn’t usually review straightforward blues albums and those that are sent are generally fairly poor modern copyists replacing feeling with technique. That said the blues is a strain that runs throughout Americana whether it be the rural sounds of the pre war era or gritty roadhouse belters as delivered by the likes of The Blasters. So when this album tumbled into the nest hopes weren’t high especially after reading the ringing endorsement from Chris Evans. It was a pleasant surprise to find that Robson and his band deliver their blues with a deft touch, a degree of feeling and an insouciant sense of swing. While there are some piledriving moments such as on Stick To The Promise and Cooling Board these never tumble into 12-bar boredom. 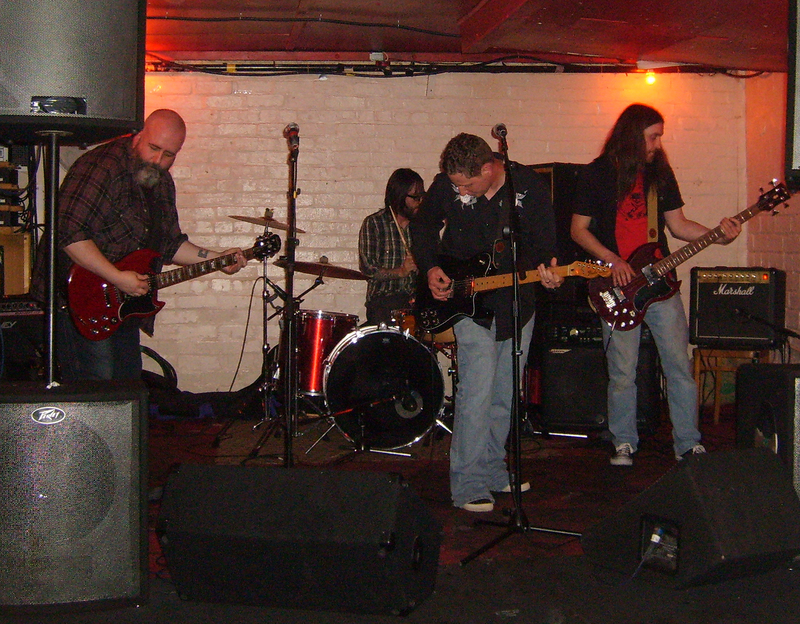 Robson and his harp lead a tremendous sounding band who are slick and tight, he sings without any mannered blueisms, at times the early Feelgoods are recalled but there are elements here also of the mighty Fall and local heroes The Primevils. Regarding his harp playing Sonny Boy Williamson the second and Kim Wilson appear to be influences and it’s tempting to say that The Dirty Aces might be the UK’s answer to The fabulous Thunderbirds. Of the songs Devil Led Evil, Magic Tricks and the opening The Mighty Incinerator are standouts. Sad to say Blabber’n’Smoke has to agree with Mr. Evans. Bow Thayer and Perfect Trainwreck Bottom of the Sky. The exotically named (at least for us in the UK) Bow Thayer hails from Vermont, New England and has released a slew of album over the years. He’s a buddy of Levon Helm and suitably his band deliver a pot pourri of modern Americana with a bunch of influences ranging from The Band, The Grateful Dead, Wilco, The Allman Brothers, Little Feat and the Drive by Truckers with a touch of Tom Petty. That said Thayer is no copyist, his songs all sound original and at times one is astonished that he has not achieved a higher profile. With Thayer on vocals, guitar, mandolin and banjo he is ably supported on drums, bass, keyboards and pedal steel. The addition of a Moog synthesiser and Mellotron adds a fine texture to several of the songs. Ranging from the country stomp of Your heart Is Not Your First Step with banjo to the fore to the opening visceral blast that is Buffalo Joe, heavy on the organ and piledriving drums Thayer covers all of the bases. Dawning is a tremendous shuffle that drinks deep from early seventies country rock with gliding guitars, while the title song flows majestically and betrays a pop sensibility that is almost McCartneyesque. Finally a few words on Amy Belle. Tipped for stardom after Rod Stewart selected her to support him after seeing her busking she fell foul of record company shenanigans. Here however is her album, five years later. While we wouldn’t recommend it wholeheartedly there are some moments that show promise. The opening song Didn’t I Say is a fine bluesy shuffle not to far removed from the likes of Sheryl Crow however there is a pop gloss throughout that shows that she still hankers after that star spot. A rendition of I Don’t Want To Talk About It is rather poignant in the circumstances. Firm favourites of Blabber’n’Smoke, Pokey LaFarge and the South City Three have never let us down, live or on record. Listening to or seeing them live is a kick, a reminder of how good and reaffirming the power of music can be. On the face of it they could be classified as yet another bunch of “old time” revivalists like dozens of others whose albums regularly arrive here at Blabber H.Q. While we have a great respect for and enjoy rootsy bands who are keeping old traditions alive, sometimes in an exhilarating fashion, Pokey et al are heads and shoulders above them when it comes down to sheer joie de vivre with an exuberance that might best be experienced live but which informs the recordings also. I’ve yet to meet anyone who hasn’t fallen for them after the first song or two. A pocket dynamo LaFarge commands the stage, a born showman indeed. On record he writes songs that seem to have been in the catalogue forever such is their immediate familiarity. Middle of Everywhere is chockfull of songs that could have the listener scrambling through their record collection seeking the original version to no avail however as Pokey has written all of this fine album. In the liner notes he points out that St. Louis, his hometown, is musically speaking at the centre of the south, the mid west, the city and the country. The album bears witness to this being a melting pot of his oft noted influences including ragtime, swing, country blues and early jazz. Less bluesy than its predecessor, Riverboat Soul, Middle of Everywhere leans more towards western swing on many of the songs with Adam Hoskins’ lap steel playing adding a nice touch. The guitar playing throughout is excellent with Sunny Side of The Street and Shenandoah River in particular graced with some fine solos. The addition of cornet and trombone on Feels So Good turns the song into a neat jazzy vamp as Pokey sings about his “dancing girl.” As befits a young man girls are on Pokey’s mind and on Mississippi Girl he sings their praises on a superb ensemble piece. While the good time feel of Weedwacker Rag and Drinking Whiskey Tonight are both guaranteed to have audiences on their feet the best song here reminds one that Pokey can write fine reflective pieces (such as Beat Move and Shake It’s Arkansas). River Rock Bottom ebbs and flows seductively, reminiscent of Dan Hicks in his prime it’s a tender and sad hymn to the blues. Throughout the album The South City Three perform stellar duties. Hoskins’ guitar embellishes Pokey’s playing perfectly while Joey Glynn’s upright bass adds a fine natural depth. His skirmishes with Ryan Koenig’s washboard on several songs are a treat while Koenig’s harmonica is always tasty. Over all this Pokey sings with confidence, at times crooning, other times hollering yet hardly ever breaking sweat he is in command throughout, oozing charisma and style. Pokey and the band are currently touring the UK so do try to catch them. Dates on the website with a Glasgow show on 25th June at the Classic grand. Danny Schmidt. Man of Many Moons. 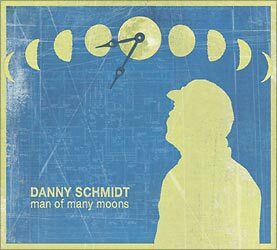 Another album from Red House Records who are building up an impressive artist roster, Danny Schmidt is another Austin based songwriter who is touring the UK later this month. With fellow label artist Carrie Elkin and Raina Rose assisting on harmony vocals this is a fine, laid back acoustic stroll. Aided and abetted on occasion by Will sexton on bass and guitar, Ray Bonneville on harmonica and Keith Gary on piano the overall feel is limpid and relaxed with Schmidt’s vocals soothing in the main. For a writer who has penned ten of the eleven songs on show it might be considered disheartening for one to latch on to the only cover, a version of Dylan’s Buckets Of Rain initially. However it has to be said that this reading is sublime indeed. The weary delivery with some fine acoustic guitar interplay and a warm and sympathetic bass sets this up as one of the best Dylan covers I’ve heard, simply superb. While Schmidt describes the album as a struggle “around the process of making peace with Commitment” (see his webpage for his detailed notes on the album and the lyrics) and speaks of the moon as a metaphor, always changing but always there, the listener can simply wallow in some fine meditations such as Guilty By Association Blues which starts out like a talking blues before going into a fantasy about capitalism (I think) and Almost Round The World which actually talks about the confusion raised by the previous song. When its references to parrots and pigs were taken up wrongly by animal rights activists he describes the effect this had on him and his family. Both are delivered in a mellifluous manner and invite repeated listening. Overall this is an album that can induce a sense of calm, an opportunity to listen to some lyrics that merit some thought. The sprightly Ragtime Ragtime Blues slightly upsets the mood but other than that its a fine listen. Jim Dead and The Doubters album launch, 13th Note, June 2nd. Jim Dead comes from Deadsville. An imagined place, more in the mind than on the map. Occasional visitors to this shadowland include Jim White, Hank Williams, Jason Molina, The Drive By Truckers and even Neil Young. Here the music is slow and thick, churning like the Mississippi, rich and full bodied. Jim Dead has captured this on his latest release; Ten Fires and tonight unveiled it in a hot cellar to an appreciative Glasgow crowd. This was possibly a unique event as the Doubters consist of the musicians who recorded the album with Dead but in their non Deadsville lives they all have other gigs. Reconvened for the album launch it would be a pity if they fade away as they conjured up a blissful, noisy wall of sound. Consisting of Dead on guitar and vocals, Craig Hughes on guitar and the Duffin brothers, James and Tommy on bass and drums they punched their way through several songs from the album. The twin guitars cranked up an almighty mess of sound with Craig Hughes sparking off of Dead’s solid rhythm on a sound that was reminiscent of Crazy Horse or Magnolia Electric Co. Wading through lengthy renditions of Jim Langstrom Must Die, Bone Blue Moon and Mean eyed River Snake there were several spine tingling moments wrung from Hughes’ Gibson but Dead’s knack for a well written song with strong hooks meant that this never descended into jamdom. The band ended the set with epic renditions of Untitled and The Hallelujah Revolver. Untitled started off with an Iberian Miles Davis feel before a psychedelic tinge crept in with Hughes playing arabesque lines but the closing song trumped all before it with the Duffin bothers in particular adding an almighty edge to a powerful and inspired performance. Dead hollered as if his life depended on it. A great end to the show. Jonathan Byrd hails from North Carolina and Cackalacky is apparently a colloquial term for the state. That said and having solved the mystery of this odd title the rest is plain sailing. Byrd is a jobbing musician who when touring Canada had the opportunity to hook up with a very sympathetic crew of musicians (on his birthday indeed) and in one six hour session they had this album tucked up and ready for bed. With some of The Creaking Tree String Quartet on board, banjo, fiddle and mandolin all feature well here with Byrd delivering a set of self penned songs that that are well rooted in American back porch rustic rustlings with nods to the likes of Johns Hartford and Prine. While there are references to his home state on several of the songs (including a song about the peculiarly named Scuppernong River) Bird doesn’t limit himself and manages to sit comfortably in the Americana pantheon. A song such as I Was an Oak Tree is universal. A minor gem this tale of the tree’s role in history as a slave ship, gallows and campfire is given a fine telling. New Moon Rise is a delightful amble with some superb ensemble playing while Reckon I Did sounds as if it came from one of Hartford’s albums. Again the ensemble playing is thrilling with the mandolin especially outstanding. Dungarees Overalls is a stirring romp that does recall Prine in his prime and is guaranteed to have the toes tapping on this wordy portrait of Carolina country living. The final song, Cackalack is a rousing singalong which one guesses would be a fine crowdpleaser in a live setting. Overall a fine album that merits investigation.